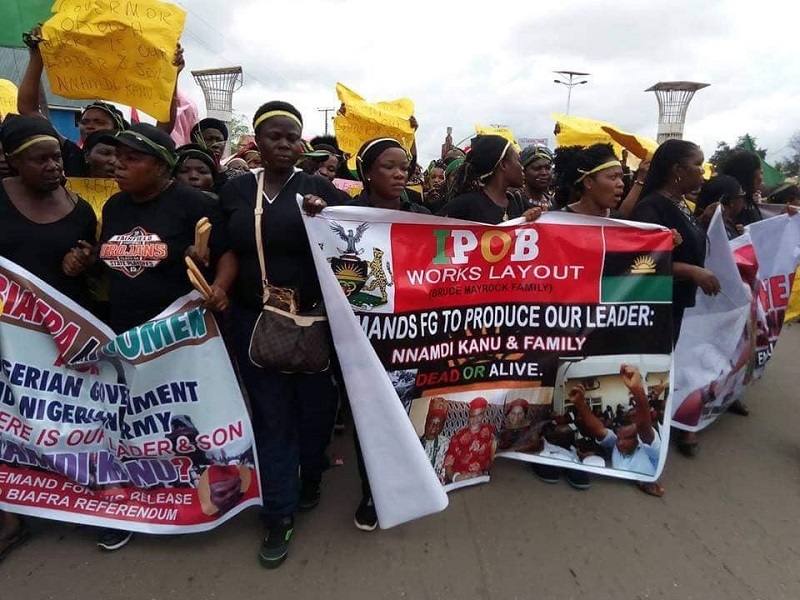 A group, Patriotic Front of Nigeria (PFN), has accused the Indigenous People of Biafra (IPOB) and Boko Haram commanders of plans to disrupt the 2019 general election. Rabiu Usman, National Coordinator of the group, also alleged that the Peoples Democratic Party (PDP) was working with both the IPOB and the Boko Haram insurgents to create an atmosphere of fear and uncertainty in order to discourage people from exercising their franchise. He said it is no coincidence that the opposition PDP is always ready with a quick response within minutes of Boko Haram attacks in the country, mostly now that election i around the corner. According to Usman, only those who have pre-arranged deals with the terrorists to carry out attacks could respond with such speed, while reactions from the party point towards a group gloating over the killing of Nigerians as opposed to one that identifies with bereaved families. “It is glaring that what the PDP is doing is nothing but shedding crocodile tears because whatever is happening today in terms of terrorism has the foundation laid in the 16 years that the one-time ruling party was in power,” Usman said in a statement. Usman further accused the PDP of activating the IPOB to frustrate the 2019 elections stressing that the separatist group’s leader, Nnamdi Kanu, whose whereabouts were previously unknown for over a year, suddenly resurfaced the moment, Peter Obi was announced as Atiku Abubakar’s running mate. “The original plot was for Nnamdi Kanu to openly drum support for the PDP candidate but this was plan was suspended and ultimately reversed when it became apparent that a growing section of the population felt insulted by Kanu’s betrayal when he was reported to have been killed by security forces only for them to discover that he went into hiding while leaving them with a worthless cause.